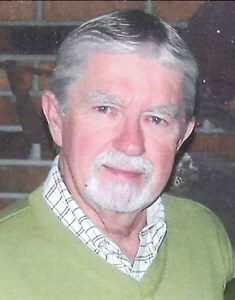 Newcomer Family Obituaries - Daniel 'Danny' Kubicki 1939 - 2019 - Newcomer Cremations, Funerals & Receptions. Daniel “Danny” Kubicki, age 79, passed away on April 8, 2019. He was born on July 6, 1939 to the late Lucille and Herman Kubicki in Toledo, Ohio. Danny was a graduate of Woodward High School. He was Commodore of the Ottawa River Yacht Club in 1985. Danny retired from Dana Corp. in 1992. After retirement, he started his own business, Quality Painting and Powerwashing. Danny and Bonnie enjoyed wintering in Florida for 11 years. Left to cherish his memory is his loving wife of 58 years, Bonnie; children, Jeff (Debbie) Kubicki, Greg (Shelly) Kubicki and Kim (Tom) Simon; siblings, Dave Kubicki, Rita (Dan) Johnson; brother-in-law, John (Barb) Veselka; sister-in-law, Sandy (Denny) Kaminski; grandchildren, Jason Kubicki, Kelli (Richie) Maldonado, Holly Kubicki, Haley Kubicki, Mitchell Kubicki, Zach Kubicki, Shelby Simon, Mariah Simon, Baleigh (Andrew) DeNucci; great-grandchildren, Mia and Olivia Maldonado and one on-the-way. The family will receive guests on Wednesday, April 10, 2019 from 4-8:00 p.m. at Newcomer-SW Chapel, 4752 Heatherdowns Blvd., Toledo (419-381-1900). The Funeral Mass will be held on Thursday at 11:00 a.m. at the Historic Church of St. Patrick, 130 Avondale, Toledo. The family requests memorials be made to: The Alzheimer’s Association and Hospice of Northwest Ohio. To leave condolences for Danny’s Family, please visit: www.NewcomerToledo.com. Add your memories to the guest book of Daniel Kubicki. I wish you strength during this difficult time. I have very happy memories of the times we spent together and the time spent at the ORYC. When I cruise on the great lakes, each time I see a Trojan from that era, I think of all of you and the laughs we shared back then. I remember your father fondly as a fun loving, honest man. So sorry to hear of Danny's passing may he rest in peace. Dear Bonnie & Family So many wonderful memories with Danny, Bonnie and the whole family. You stood up at my marriage to Dennis and one of the few friends that were there for me after his sudden death. For that I am forever grateful. I wish I could be there now for you as you face his loss of the love if your life. Know that you are in our thoughts and prayers and are always welcomed in our TN or UP home. I will try to get in touch with you when in Toledo not sure when that will be as I am currently having some heart issues which are being addressed. God Bless you and your family always. Bonnie. We were saddened to hear the news of Danny’s passing. Our condolences and prayers go out to you and the entire Kubicki family at this time. Danny will be missed but in our thoughts. So many memories growing up next to the Kubickis. Chalmette will never be the same. Rest easy big guy. You are all in my prayers. Danny welcomed me into the family since the first time I met him. He was so kind, considerate and caring always so thankful for anything you did for him. Danny loved dancing and was a great dancer. I can not say enough nice things about Danny and his family! Danny was our Best Man at our wedding and we could not have chosen a better man for the job! Bonnie was our Matron of Honor and and we were blessed to have her in our wedding. We were so fortunate to be able to stay with Danny and Bonnie when we would go to Florida and we were so happy to be able to reciprocate and what a joy to have them stay with us this year we only wish we would have had more future years together but thankful for the many years we did have. We are all so sad not to see his smiling face but we are so blessed to have him in our hearts. Love you all! We are so sorry to hear of Danny's passing. We sure had a lot of good times at the Yacht Club and Spicer Sportsmens Club events. I'll never forget when Dan's truck got hit out in front of your house and was totaled. He sold that truck to George and he named it Nellie. Dan used to laugh and shake his head at us whenever he saw George driving that truck. He used to say "I can't believe you're still driving that truck George." Many good times and laughs. Our deepest sympathies to Bonnie and family. God Bless You all at this difficult time. I have so many great memories maybe a few crazy one's but we always came out OK.. God had to be watching over us.. Looking forward to seeing you in heaven.. Not sure I will make it but I know you would throw me a few ice cubes to keep me cool..